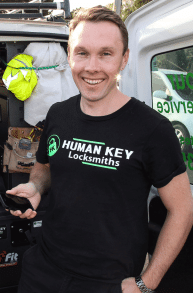 Call Human Key Locksmiths 24/7 gain entry service anywhere in Melbourne. You will be back inside in no time and our after hours services are very affordable. If you are locked out anywhere please call and get a quote on getting back in. 0403-735-103. Best prices in Melbourne with no damage to anything!! !